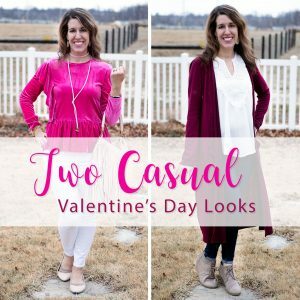 Today I’m sharing Two Casual Valentine’s Day Looks with you! 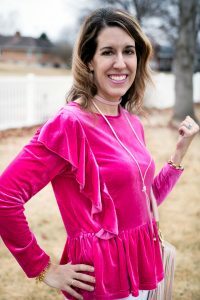 I doubt we will be going anywhere fancy on Valentine’s Day, since it is on a weekday this year… but, I’d love to look cute at my daughter’s school party and if my husband and I find a chance to have a date day that same week, I’d love to wear some Valentine’s Day colors. 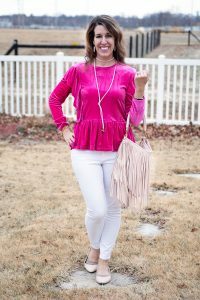 In the first outfit, I’m wearing an adorable velvet ruffle trim blouse in a bright pink hue (it says purple for the color online, but it is definitely more pink…) with white denim. 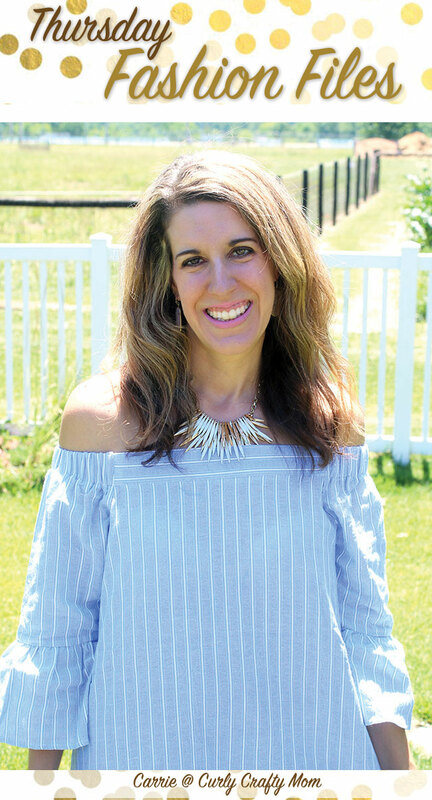 I decided to throw in some blush accessories, such as my earrings, choker and flats… oh, and my fringe blush bag from H&M from last year (I linked a similar fringe bag they’re carrying now). 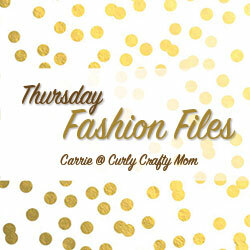 And, if you scroll down… you’ll see that this outfit looks lovely with my black velvet moto jacket. 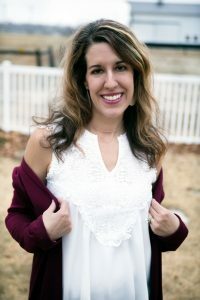 I’m wearing a white lace loose ruffled sleeveless top with a burgundy duster. 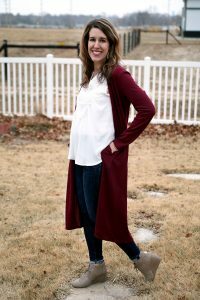 I just love the lace + burgundy combination for Valentine’s Day. 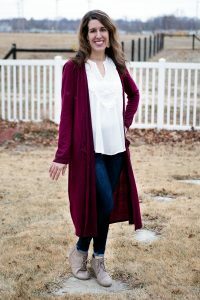 Plus, this duster just works so well with a white top and denim bottom. 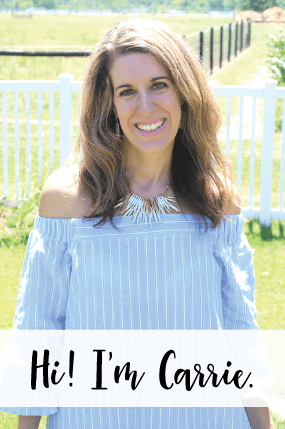 I think this outfit would be perfect for a WINERY date day… what do you think? Do you have any fun Valentine’s Day plans yet? My pick from last week's party is Kelly from This Blonde's Shopping Bag. I just picked up this shirt at Target, it is SO cute. 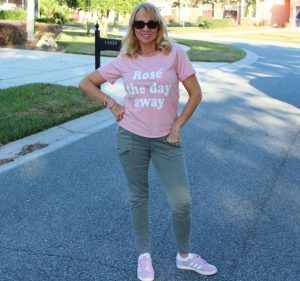 I've seen another blogger with it on, too... it's SO cute and SO, so me!